On February 5, at 18:45 an emergency call was received to “911” service that а resident of an apartment of building 1 in Hunan Avetisyan street in Kapan town, Syunik Province didn’t react to phone calls and door knocks. The rescuers’ help was needed. The rescuers opened the door of the apartment and found the corpse of M. B. born in 1954 in the bedroom. 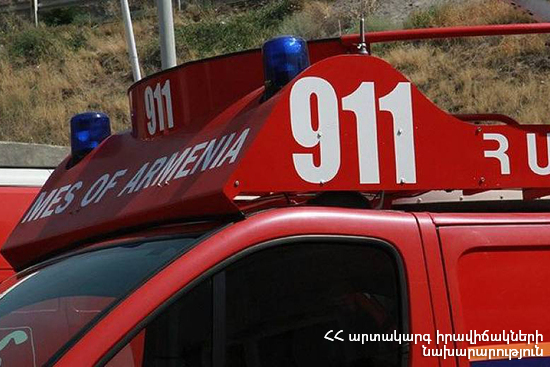 On February 5, at 14:57 an emergency call was received to “911” service that а resident of an apartment of building 9 in Arno Babajanyan street, Yerevan didn’t react to phone calls and door knocks. The rescuers’ help was needed. The rescuers opened the door of the apartment and found the corpse of M. S. born in 1932.